Dry skin (the medical term is xerosis) can be unattractive, uncomfortable, and embarrassing, but is rarely serious. There is a group of inherited diseases called icthyosis, which are characterized by dry skin, and can be disfiguring. Most dry skin conditions, however, can be alleviated by managing environmental factors such as cold weather, low humidity, and hot baths. It can be temporary, but often problematic only in winter. It can also be a life-long condition. The arms and lower legs are where dry skin tends to be the most severe. Chronic or severe dry skin may need evaluation and monitoring by a physician, but the most common and significant factors in the care of dry skin are those which can be self-managed at home. Skin is a highly effective barrier, preventing infection. Severe dry skin may crack and form fissures, breaking the protective barrier. Germs can enter, causing mild to severe, red, weeping infection. Age: Skin becomes drier and thinner with age. By age 40, many people need to use moisturizing products. Climate: Low humidity climates worsen dry skin. Heat: Central heating, space heaters, fireplaces and wood-burning stoves are all drying. Hot baths and showers: These are very drying. Swimming: Frequent swimming is drying, especially in highly chlorinated pools. Harsh soaps and detergents: Harsh cleansers pull moisture out of the skin. The most damaging are deodorant and antibacterial soaps. Some shampoos may dry the scalp. 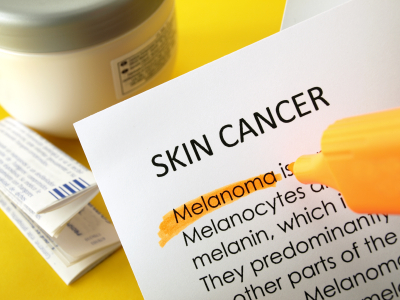 Sun exposure: Sun doesn't just dry the skin; its ultraviolet (UV) light rays penetrate the skin to the deepest layer, where the rays do the most damage. It leads to deep wrinkles and sagging skin. Other skin conditions: People with skin conditions, such as eczema (atopic dermatitis), or those which can cause a rapid buildup of skin cells, are at greater risk for dry skin. Psoriasis forms thick scales, and is usually associated with greater risk for dry skin. Job: Nurses, hair stylists, and other people who immerse their skin in water, or wash their hands constantly, can develop severe xerosis with raw, cracked hands. Do not use hot water. It removes natural skin oils more quickly than warm water. Limit time in the bath or shower to 5-10 minutes. Use only gentle soaps without dyes and perfumes. Avoid deodorant and antibacterial cleansers. Moisturize right after a bath or shower. Gently pat skin dry with a soft towel. Apply a pure botanical moisturizer to the skin. Use a product that contains 100% pure botanical ingredients that feed your skin cells what they crave. Soften skin before you shave - right after bathing when hairs are soft. A shaving cream or gel can lessen irritation. Leave the product on for three minutes before starting to shave. Change razor blades every 5-7 shaves. A dull blade irritates skin more than a fresh blade. Apply cool clothes to itchy, dry skin. Use an all-natural lip balm for chapped lips. Keep skin covered outdoors in winter. Use a scarf and gloves. With showers and baths, close the bathroom door. Apply a botanical moisturizer 2 times a day –in the morning and evening. Avoid skin products that contain alcohol, fragrance, retinoids, or alpha-hydroxy acid. Click here to read our free report, "The Poisons You Put On Your Face Everyday" to make sure you're avoiding all of the potentially harmful chemicals that are out there. Wear gloves in cold water, to perform tasks that require getting your hands wet, or get chemicals, greases and other substances on your hands. Choose fabrics that are soft, smooth, and nonirritating. Cotton and silk are natural fibers, gentle on skin. Wool is irritating even to normal skin. Use detergents without dyes or perfumes. Working with psoriasis and psoriatic arthritis can be challenging. Meeting with a supervisor to discuss how psoriasis may affect job performance is helpful. The workplace should be made comfortable. It may be necessary to invent ways to perform routine work tasks. The work area and schedules should be kept organized. Learn about disability benefits and eligibility requirements before they become necessary. How come I got stuck with dry skin? Dry skin is often an inherited condition. You can blame your parents for your dry skin. My skin feels like I have rough goose bumps. What's that? That is a common condition called keratosis pilaris. It's harmless and will usually start disappearing in adolescence. My skin is dry, but I have bad acne. How can that be? It's common to have both conditions at the same time. The flakes of dry skin can plug the oil glands on your face, making acne worse. Dry skin products are expensive. Are there any inexpensive products? There are some all-natural skin care products that end up costing about the same or even less than some of the brands you see at Wal-Mart – and without the potentially harmful chemicals. Click here to learn more. How do I pick a lotion? There's a million of them! Start by avoiding potentially harmful chemicals. These substances are in most commercial products found in retail stores and supermarkets. You don't need to spend a lot of money. Use something that is thick and has oils as a base, not a water-based product. Products with the right natural oils as a base work in harmony with your skin's natural oils to keep your skin hydrated and smooth. Make sure the ingredients are botanical and all-natural. Why is dry skin worse in the winter? Any kind of heating: central, wood-burning stove, space heaters, all dry out the air. Use a humidifier or vaporizer to put more moisture into the air. My skin has dry flakes that look like rectangles. What's that? There is a type of dry skin called ichthyosis. It can be harder to control than the more common types of dry skin. Will I "grow out" of having dry skin? It may improve through the teen and young adult years, but probably won't go away completely. By the age of 40, most people benefit from using moisturizing products. My skin is so itchy that I'm miserable. What can I do? 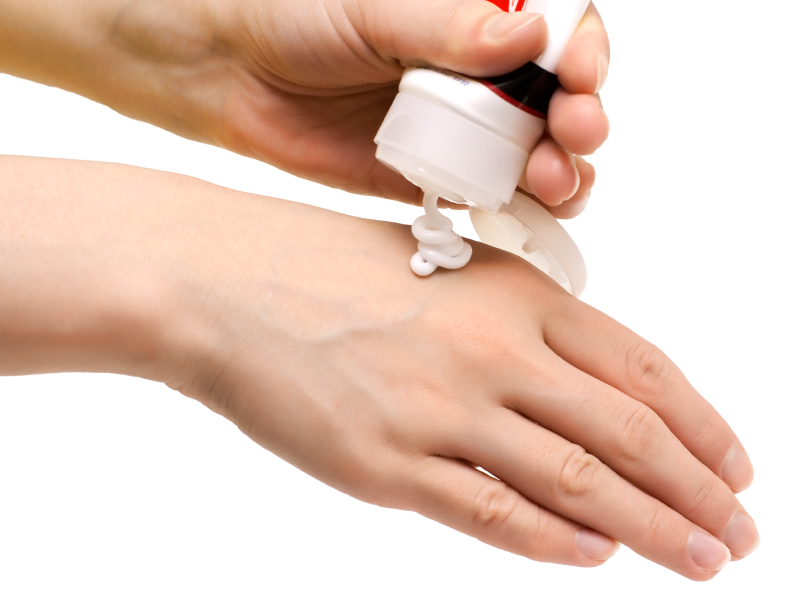 You can buy a mild hydrocortisone cream (0.1%) and use it sparingly. If the itching interferes with sleep or daily activities, see your doctor. Are there any pills I can take for dry skin? No. The only treatments available are all applied directly on the skin. Be aware, though, of drinking enough fluid for good health. Dry Skin On Your Face? Click Here to try a FREE bottle of the 100% pure, moisturizing facial skincare system for women and men. Dry Skin On Your Body? Click Here to try a FREE bottle of the 100% pure body moisturizer. 2) Dermatologists top ten tips for relieving dry skin.